Facebook has updated its Messenger app that includes a 'dislike' button. However, the 'dislike' option is only available on the desktop and mobile versions ofFacebook Messenger, Fox News reports. The dislike button is not available for the newsfeed and cannot be used in statuses and other posts. In order to access the new sticker pack, users will have to download it from the Sticker Store inside the Messenger app. While a "like" sticker was already available on Facebook Messenger, the new set of finger stickers was added only now, after having been created during a hackaton that took place this fall. 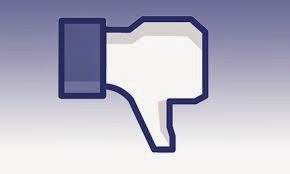 Facebook is said to be mulling launching a 'sympathize' button.